Today we’ve got a very good condition pre-owned Robinson R22 helicopter in stock. For the new owner we provide the SFAR* special permit course, naturally through private lesson(s) with a flight instructor. If you’re interested, call us at Alpha Aviation today: (+81) 3-3452-8420. If you’re already a lucky owner of a Robinson helicopter, feel free to talk to us about overhaul services. Under the certification and oversight of the Japanese Aviation Authorities we’re able to provide careful and diligent overhaul work with the finest, calibrated tools. There are facilities that provide services without properly calibrated equipment. This is not only a violation of regulations, but also puts flight safety in jeopardy. As certified Robinson Helicopters dealer and service center, we’ll take good care of your precious aircraft. SFAR73 is regarding training on R22 and R44 helicopters, and results in a special permit to fly these aircraft and has been implemented in Japan from 1996 as well. The rule is regarding: 1. 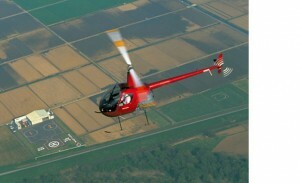 Pilots seeking to fly the R22 and R44 type helicopters. 2. Pilots are to undergo specific ground and flight training in the characteristics of these helicopters. All our flight instructors have been certified at the Robinson Helicopter Co. in California through the Robinson Helicopter Safety Course. The content of this course is the knowledge needed to fly the helicopters safely as well as pitfalls and other pertinent information; this course makes the very foundation of the course we teach at Alpha Aviation. The course contents at the factory and here at Alpha are the same, and satisfy the requirements of SFAR73.